Today’s decision in theHobby Lobby case represents a huge win for religious liberty in America, and the 5-4 decision will now stand as a landmark case that will reshape the religious liberty debate for generations to come. At the same time, the deeply divided court also revealed in startling clarity its own internal debates over religious liberty — and that division of understanding at the nation’s highest court is very disturbing indeed. Furthermore, the President faces the looming threat of even greater rebukes to come. It can be easy to tune out background music, especially amid the political cacophony that has so often dominated Clinton’s public life. But the former Secretary of State, U.S. Senator and First Lady is, and has always been, a Methodist. Her faith is at once public yet personal, quiet yet bold. She is part of the second-largest Protestant group in the country, but her brand of faith has never been mainstream: Methodists make up about 6% of the total U.S. adult population, according to the Pew Research Center. If Methodists are known for one thing, it is, as the old church saying goes, that they are always looking for a mission. Clinton is no exception. Her sense of purpose has guided her from Wellesley to Washington, and may push her to seek the White House again come 2016. Certainly political aspirations have motivated her career. But her faith has also driven her, if not equally, at least consistently, to give her life to the pursuit of a higher calling. 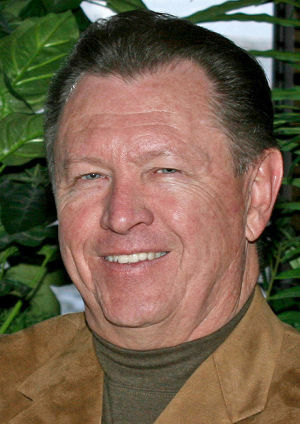 One man in particular had a strong influence on her young faith: Donald Jones, who came to Park Ridge as the new youth minister when Clinton was a high school freshman. A Drew University Seminary graduate, Jones’s own theology had the imprint of theological heavyweights like Dietrich Bonhoeffer and Reinhold Niebuhr, and he made it his mission to give the youth a strong and broad theological training. Recently, a Sudanese court imposed the death penalty on 27 year old Meriam Yehya Ibrahim, who at the time was pregnant. Ibrahim, a Christian, was legally considered a Muslim though she had been raised a Christian. Ibrahim was given the opportunity to officially reject her Christian faith prior to sentencing, but refused. As a result, she was sentence to 100 lashes plus death by hanging. Thanks to an international outcry on the part of governments, world leaders, and human rights organizations, Ibrahim had her sentence overturned and was subsequently set free– for a time. Yesterday news reports broke that she was re-arrested while she and her family were attempting to leave the country. One could almost hear a collective gulp of shock reverberate across the entire internet, as all those who had hoped, prayed and advocated for her release began to let the news sink in. With her own brother denouncing her release and calling for vengeance to restore the family’s honor, there was simply no telling what would happen. Thankfully, within a few hours of her arrest, news broke that she had been freed from custody and would be allowed to depart Sudan for the United States, where she will have complete freedom to practice her religion without fear of death or detainment. Meanwhile in the United States, we’re going about our daily lives panicking with cries of religious persecution as well… although, they’re not the cries one would think. Instead of a collective focus on wide-spread human rights abuses and religious persecution in places like Sudan, North Korea where an estimated 33,000 Christians have been incarcerated in prison camps, or the estimated thousands who actually die for their religious faith each year, we’re focused on a first world version of persecution that’s not really persecution at all. When A&E temporarily made the decision to disassociate with Phil from Duck Dynasty over anti-gay comments he made in the media, it was labeled as “persecution”. It is hard to imagine a more perfect contemporary personification of human evil than the Italian mafia Camorra scattering carcinogenic trash throughout Naples or the ‘Ndrangheta, whose high-placed and diversified criminal activities did not put it above assassinating a 3-year-old in January. This weekend, Pope Francis found a gesture to rival these mafia organizations’ power, declaring them excommunicated. His prophetic action set off a range of speculations. Some fear the pope has placed himself in danger. Similar worries began circulating last year, when Calabrian state prosecutor Nicola Gratteri warned that “if the godfathers can find a way to stop” the pope from condemning corruption and reforming Vatican finances, “they will seriously consider it.” At that time, mafia expert John Dickie was more skeptical: “Even a rudimentary projection of the likely consequences of a hit on the head of the Catholic Church,” he said, “would show it to be catastrophic” to the mafia itself. The excommunication has revived these rumors while also casting light on an equally surprising but underreported statement Francis made two weeks ago, expressing sympathy for “poor Pius XII.” Some believe Pius said little during the Holocaust because he didn’t want to draw Nazi attention to the many Italian Catholics sheltering Jews; others believe his silence had more to do with cowardice or indifference. Significantly, we now know that Francis’s personal sympathy for Pius cannot be construed as a broad endorsement of the strategy of tactful silence in the face of enormous evil. Yet the Pius debate raises a second question: not whether Francis has made himself more vulnerable, but whether he has placed ordinary Italian Catholics in harm’s way. In 1993, after John Paul II warned that the Sicilian mafia would “face the judgment of God,” the Casa Nostra bombed the Roman churches of St. John Lateran and San Giorgio in Velabro, perhaps in retaliation. More recently, violence convulsed Iraq and Palestine and a nun was assassinated in Somalia following Pope Benedict XVI’s controversial and misunderstood remarks about Islam in 2006. Take a sneak peak at our Global Faith special section. This content is only available in the print newspaper and Kindle edition, so subscribe today! Could Francis’ decision create new martyrs? Already, Nazi-era Christian prophets like Dietrich Bonhoeffer, Bernhard Lichtenberg, Clemens August von Galen, and Franz Jägerstätter have found their counterparts in murdered mafia opponents like Giuseppe Diana and the recently beatified Pino Puglisi. To ask the question is certainly not to judge the pope’s character. I’ve finally gotten around to the new Dietrich Bonhoeffer biography by Eric Metaxas. And while reading this amazing book, I’ve reflected often on the importance of ideas and how essential is truth. 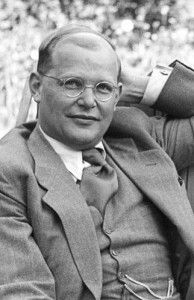 Dietrich Bonhoeffer is a hero to many for his bold, uncompromising stand against Hitler and the Nazi regime in 1930s and early 40s Germany. He is a champion for others because of his commitment to and passion for quality Christian community. Foundational to Bonhoeffer’s character and values was his insight into the Bible and dedication to the Word of God. At a time when most leaders were acquiescing to evil that would destroy their nation, Bonhoeffer stood boldly against the tide. He raised his voice on behalf of weak and vulnerable who the regime plotted to destroy. He called evil by its name and resisted it for all he was worth. Not all ideas are of equal value. Some are so noble and beneficent, we are almost sure they come from the heart of God. Others are so destructive, treacherous and merciless we wonder if they were born in the pit of hell. The great majority of ideas are stuck somewhere between the extremes and only great wisdom will be able to forecast their outcomes or discover their direction. Bonhoeffer knew painfully, that he dare not trust contemporary social morality to guide his mind. He needed a higher touchstone to measure thought and theory and he believed he had it in the scriptures. His unpopular stand against the ideals of Nazism was founded, informed and energized by the truth he found within the pages of the Bible. Bonhoeffer wrote the following to a brother-in-law who saw little value in scripture. – Bonhoeffer: Pastor, Martyr, Prophet, Spy by Metaxas, Eric, 2010, p 136-37. On the influential preacher’s 180th birthday, some of his most profound sayings. Dargan is a writer and editor who loves music, traveling and deep conversations. She also loves grammar and is one of the editors at RELEVANT. You can follow her extremely random train of thought on Twitter@darganthompson. Obviously, there’s no sure way to quantify any preacher’s impact, but the numbers for Charles Spurgeon are telling. Known as the “Prince of Preachers,” the British Baptist pastor is estimated to have preached 3,500 sermons to about 10 million people, a staggering number in pre-Internet days. He published 49 volumes of commentaries, anecdotes and devotionals during his lifetime, and the complete collection of his sermons fills 63 volumes, making it the largest set of books by a single author in the history of Christianity. A pastor in London for almost 40 years, Spurgeon was one of the most well-known pastors of his day. And even now, more than 120 years after his death, he continues to be an important and influential voice across denominations in the Church. Perhaps one reason for Spurgeon’s continuing legacy is his ability to speak plainly and clearly. He is immensely quotable. So, in honor of Spurgeon’s 180th Birthday, here is a collection of some of his most profound quotes.